Frederic S. “Steve” Martin 84, Rochester, Indiana, passed away at 5:45 A.M. Saturday June 30, 2018 at Life Care Center of Rochester. He was the third born son of Earl and Bessie (Thurston) Martin on May 11, 1934 in Cass County, Indiana. He graduated from Young America High School in 1953. Steve was first married to Joellen Zeck, mother to his three children, Michael, Kathryn and Lori. On February 22, 1975 at the Metea Baptist Church, he married Darlene L. (Beattie) Hoehne, becoming the father to David Lee Hoehne and Darla Hoehne. Steve was owner of the Steve Martin Construction Company located in Kokomo, Indiana for over thirty years. He restored and rebuilt many homes and churches after devastating fires and wind losses. After retiring from the construction business, he was a Housing and HUD inspector for Howard and Cass County for several years. 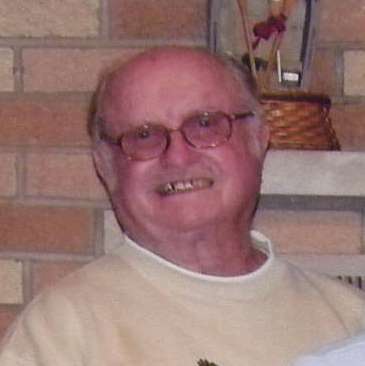 He was a member of the Metea Baptist Church, where he had been a trustee and Sunday School teacher. He enjoyed fishing, teaching his grandchildren how to fish, trips to Wisconsin and Florida, water skiing, snow skiing and snowmobiling. Survivors include his wife of forty three years, Darlene L. Martin, Rochester, Indiana, children, Michael (Beth) Martin, Kokomo, Indiana, Kathy (Kristi) Stockberger, Rochester, Indiana, Lori Rochelle Higgins, Logansport, Indiana, Darla Jean (Robert) Kaminski, Lombard, Illinois, grandchildren, Kerry Brouyette, Macy, Indiana, Kalea Brouyette, Macy, Indiana, Matthew Coleman, Rochester, Indiana, Jackie (Pat) Robertson, Kokomo, Indiana, Kristen (Andy) Dalton, Carmel, Indiana, Andrea (Luke) Stocking, Nashville, Tennessee, Tawnie Martin, Royal Center, Indiana, Michelle Martin, Las Vegas, Nevada, eleven great grandchildren, brothers, Roger (Maryanne) Martin, Jasonville, Indiana, Reggie (Lois) Martin, Galveston, Indiana, David Martin, Kokomo, Indiana, sisters, Jan (Chet) Brantley, Kokomo, Indiana, Sharlyn Trine, Kokomo, Indiana, several nieces and nephews. He was preceded in death by his brothers, Gene Martin and Jack Martin, nephews, Barry Martin and Dake Martin and step-son, David Lee Hoehne.